In Arizona, an air conditioner lasts around 10-15 years because they go through thousands of cycles that can lead to system failure after that time. How long it last also depends on if it was sized correctly and if routine maintenance was kept up. After a unit has been around that long and dealt with years of intense summertime heat people also tend to replace just because their unit isn’t efficient, they want to switch to r-410a refrigerant, and it’s out of warranty. All of these things can be combined reasons for how long an A/C last in Arizona. We outlined each reason below and how it can be a cause. Once the unit has been running for about 10-15 years, even if it was sized properly and had routine maintenance, the unit cycling on and off is bad for it and can lead to breakdowns. The best way to maintain your unit is to increase the length of the cycles but even that is not enough because eventually, something will break down. It might not be a big deal but at a certain point in the systems life, it will have a major breakdown where you will have to make the decision for an expensive repair or to just replace the unit. When cooling in Arizona your unit might be a straight cool air conditioner with a furnace or just a heat pump. The straight cool unit only cools in the hotter times of the year while a heat pump can also heat so it runs almost the whole year (if you use the heat). A heat pump unit will go through more cycles because of that. So if you have a heat pump it’s probably not going to last as long as a straight cool air conditioner because it will go through more cycles. It’s better if your unit has longer run times but that depends if it was sized properly, to begin with. 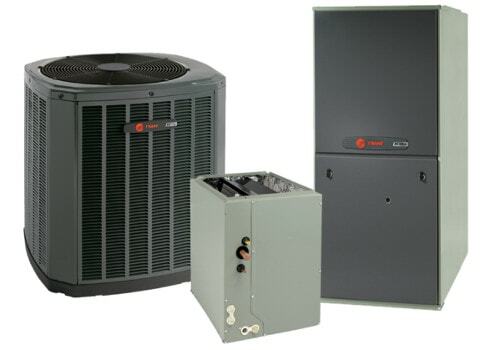 A lot of homes do not have a properly sized air conditioning system, they are either undersized or oversized. Some homes have 2 units when they could get away with just one. In order to properly size a unit for your home, a manual J heat load calculation must be performed. Unfortunately, a lot of contractors do not perform this calculation. Typically a home in Arizona should be designed to cool around 108 degrees because only 1% of the year does it get above this design temperature. An oversized unit will go through more cycles in its life than it should and makes it possible for it to suffer a major breakdown early in its life. The more cycles the more likely your unit is to break down because of how much energy has to be drawn for startup. Also those large energy draws from the continual cycling are going to cause you to have high electric bills and it won’t remove humidity well (which can lead to mold issues that can damage your home and is proven to be bad for health). That’s why it’s better to have longer run times and more importantly a properly sized system. An undersized unit will run constantly because it is not satisfying the thermostat and since it’s not removing enough heat from your home the evaporator coil will freeze. This can cause liquid refrigerant to flood back to the compressor and damage it. If this is a regular problem you will have a compressor breakdown and it will need to be replaced since compressors are hermetically sealed. It is expensive to replace a compressor and is something a professional will have to do. A lack of maintenance can result in poor efficiency, numerous breakdowns, a major breakdown, and an early replacement of the air conditioner. It’s important you have a professional over to check the unit at least once a year (we recommend twice a year) because some manufacturers require routine maintenance in order to keep the warranty valid. Also, if there’s ever a loss in efficiency or a preventable breakdown, the technician visiting your home will tell you what can be done. Having someone routinely check your unit and taking care of it will help it last longer. If developing problems are left to worsen then your unit isn’t being taken care of and it won’t last as long as it can. A lot of people replace their air conditioners because of expensive utility bills. The older units already aren’t that efficient compared to their modern counterparts and now that they have spent some years in the sun they have lost efficiency. It makes sense to replace the unit when it’s expensive to run because air conditioning consumes the most amount of energy compared to any other appliance. Even though the unit might still be able to provide adequate cooling a lot of people aren’t seeing it cost effective to keep running their old unit. That’s because with a new air conditioner you can expect to save money in utilities that will make up for the cost of the unit in the long run. A unit that is 10-15 years old can have Freon (R-22) refrigerant that is being phased out and replaced with Puron (R-410a). The phase-out of the Freon (R-22) is causing the price of it to skyrocket because it’s going to be harder and harder to get. It will eventually be completely phased out and impossible to get the old refrigerant. Due to the phase-out, a lot of homeowners are replacing because any refrigerant related breakdown where you have to charge the system with Freon (R-22) will be very expensive and it won’t be cost effective to keep the unit running. There is also the possibility if you keep the unit then you won’t be able to get any refrigerant for it. One last thing to consider is if your unit is 10-15 years old then it is probably out of warranty, so you will have to pay for parts and labor. Depending on what the repair is it can cost anywhere from a few hundred dollars to thousands of dollars. It all depends on the brand of unit, how old it is, and what part has broken down. When your warranty has expired and you are paying for expensive repairs it makes sense to replace the unit. Especially since most new Trane units, for example, come with 10-year parts and 2-year labor warranty, so for the next 10 years you won’t have to worry about paying for parts and you can extend the labor warranty to 10 years so you don’t have to pay for labor.